The river was low for the first three days of the week. 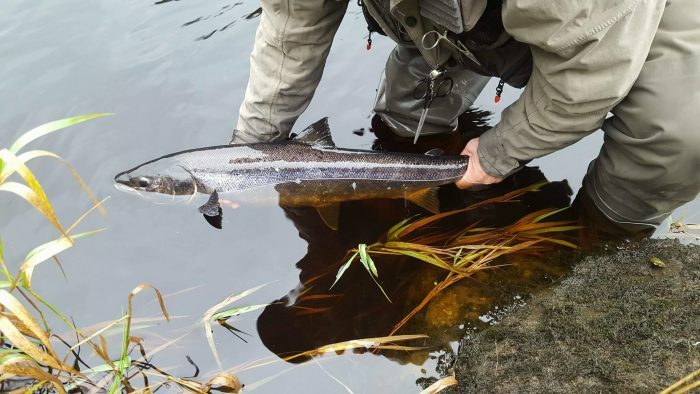 John McConway’s party of five rods fished Dalreoch from Monday to Wednesday, they fished hard and although they did connect with a few fish in the low water they didn’t manage to land any. Celt Roberts did manage an 8lb fish from the bottom run on Almont on Wednesday the 20th with only 1ft2 on the gauge at Colmonell Bridge. More rain arrived on Wednesday which saw the water sitting around 4ft on Thursday morning. Despite decent levels the fishing was tough going and with more rain due on Friday, the fish were not in the mood. On Friday the fishing improved with large numbers of fish seen throughout the day on both Dalreoch and Almont. It rained all morning but Billy Gracie managed to land a 5lb fish from the bottom run on Almont and Andy Blyth also had an 8lber from the Lairds Run. 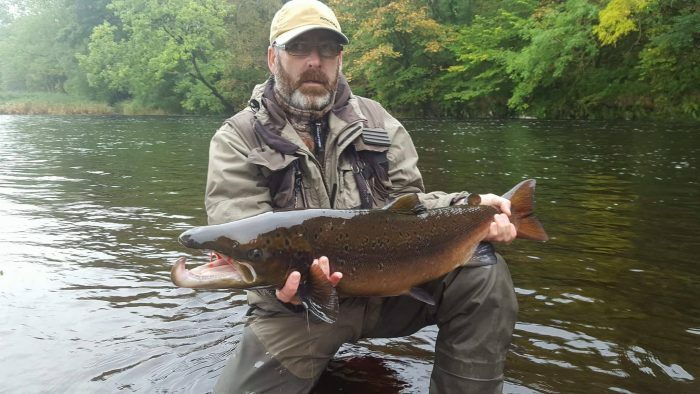 On Dalreoch Neil Mcpherson had a surprise when a 5lb grilse came up and took his fly on the surface while he was fishing Greystanes. On Saturday the river was over 4ft again and despite our best efforts the rods on Dalreoch didn’t connect with a single fish. On Almont however things were different. 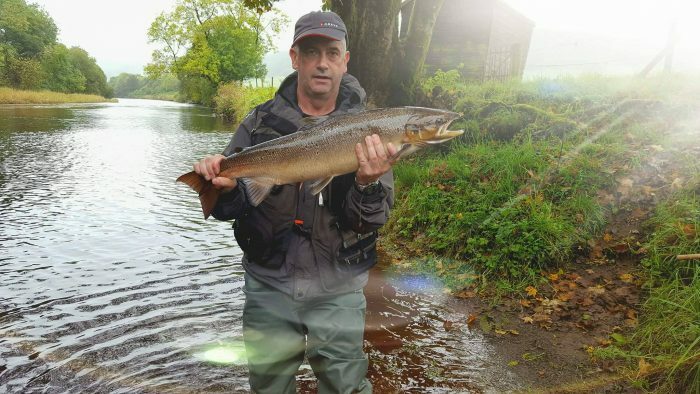 Graham Hooper had an 11lber from the Hut Pool and lost another two fish, his fishing partner Brian Sloan also had an 11lb fish from the flats, a 14lber from the Hut Pool along with a nice fresh 3lb sea trout. Brian also lost another two fish as did Brian Robb. By the end of Saturday we had landed our 81st fish of the season and I am delighted to say that 77 of these fish have been returned giving us a release rate of over 95%.